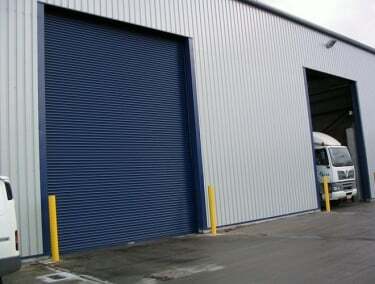 The S Door is an industrial overhead sectional door that can be used in a wide range of industrial and commercial premises. 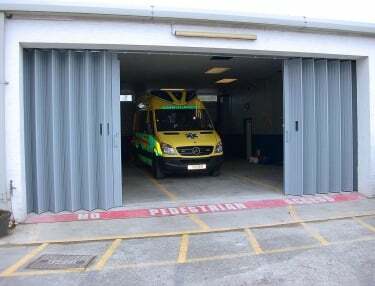 Designed with a curved overhead track, these vertically-opening sectional doors can be installed in areas with reduced head room. They provide heat and sound insulation with its composite panel construction. The counterbalance and cable system provides quiet and straight forward operation for manual doors. 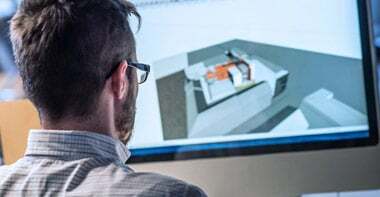 Electric operation is available for larger applications that can incorporate many alternative operator options to suit all client requirements. 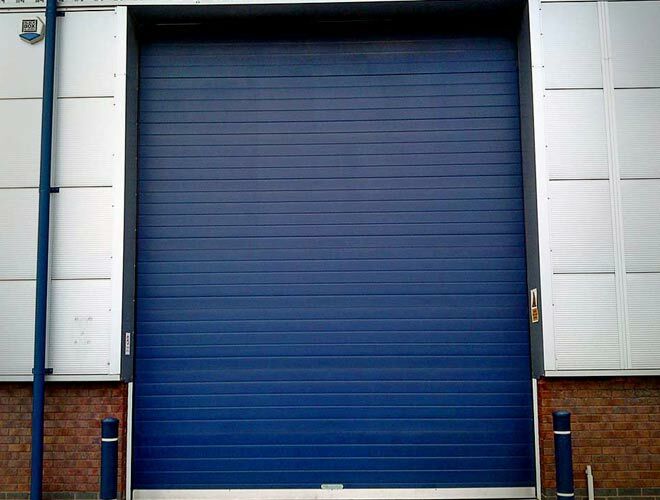 This industrial door is most widely used for loading areas on all types of industrial premises and vehicle docking bay facilities. 8000mm x 6000mm larger sizes available on request up to 10000mm wide. 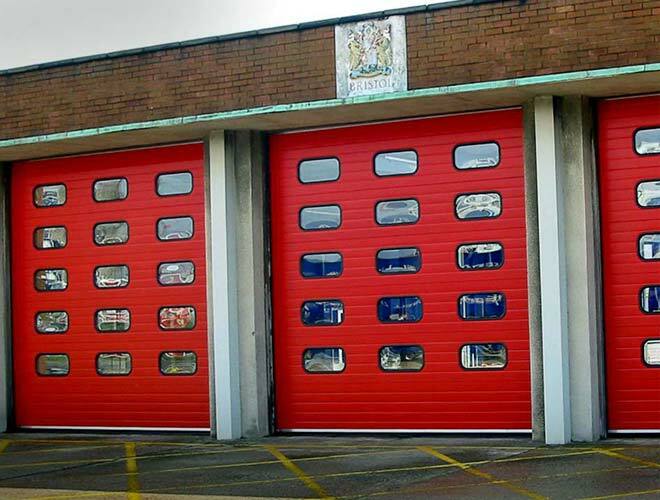 Door sections are manufactured from double-skinned, PU-foamed steel sections, (made of hot-galvanised steel), depth 42mm with finger trap protection. Or 67mm depth for increased performance or size. Panels are available in either Stucco textured or Micrograin and can be finished in most RAL colours. Panels are available in 750/625mm section heights for doors up to 6000mm wide and 500/375mm section heights for doors up to 8000mm wide. 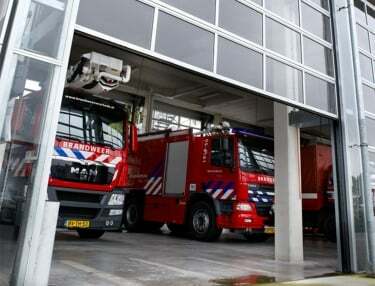 The standard outer panels are manufactured from 0.5mm thick, high quality zinc coating to BS EN 10147, steel sheets 610mm deep x 40mm thick tested to a class 1 surface spread of flame tested to BS 476:Part 7:1971. They can be supplied in aluminium should this be required. The panel is insulated by CFC free foam of 40kg/m3. 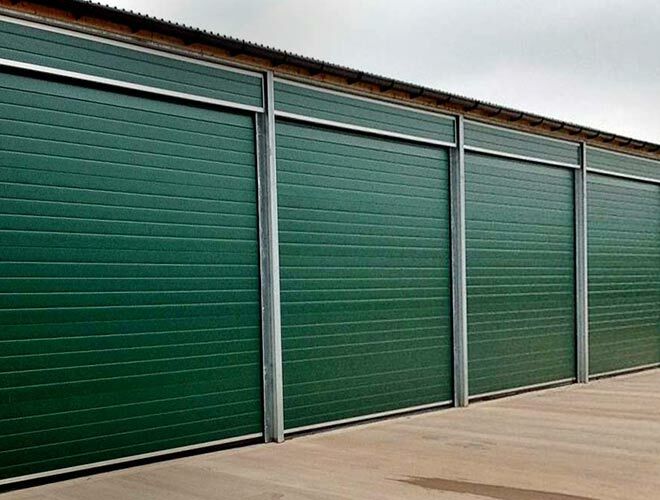 For the best weather protection the sectional door panel has an interlocking hinged joint integrating a high quality seal the full length of the panel. The panel “U” value achieved is 0.5 for 42mm panel or 0.33 for 67mm panel. 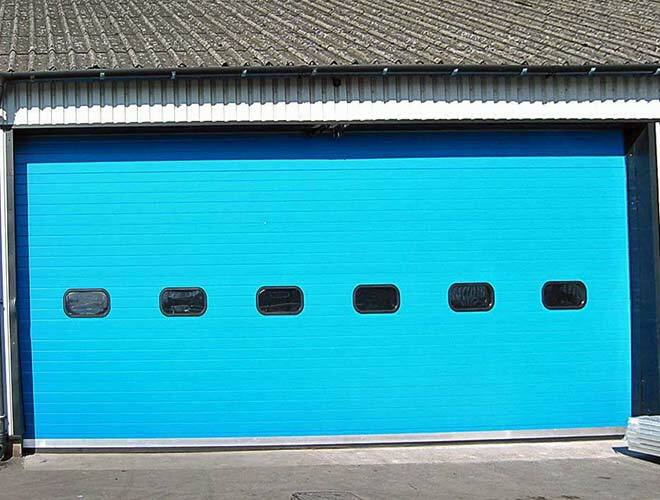 Additional thermal performance can be enhanced by adding thermo frame W/m2 K – Sound reduction of (Rw) 24 d.
The industrial overhead sectional door panels, external and internal faces are available in polyester powder coating in a range of colors. 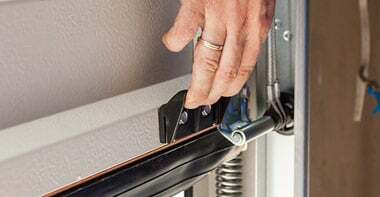 The S Door panel, hardware comprises of adjustable galvanized steel roller carriers that are self-lubricating bearings and intermediate galvanized panel hinges. Stainless Steel fittings are available for extreme environments. A counterbalance system is incorporated into the sectional overhead door to ensure efficient and effortless operation. The counterbalance comprises of springs mounted on a steel shaft that are high tensile helical wound steel. It has been heat treated for enhanced performance for around 50,000 cycles. Reducing shaft friction is achieved with the aid of brackets and guide rollers incorporating highest quality sealed bearings. Cable drums are also mounted on the spring shaft and carry the aircraft quality cables which have a 7:1 safety factor. 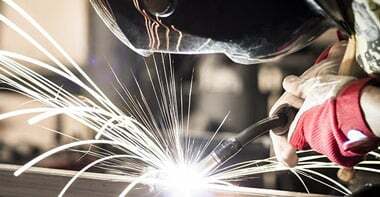 The cables are looped and fixed through the use of specialist machinery to make sure that all fixings stay connected in both, standard day to day operations and in more demanding circumstances throughout the working life of the doors. To ensure CE legislation is fully complied with, spring break devices are fitted. 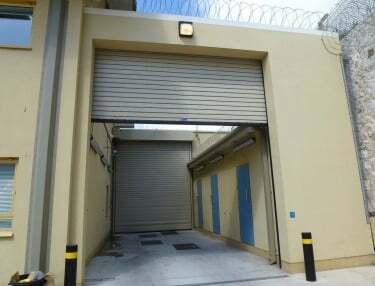 The galvanised door tracks are manufactured and designed to ensure that the bearings run smoothly. This is done by mounting them on the galvanized steel angles for fixing, via HAG unique stud welding system which ensures the most secure seal to the building as the tracks need no adjustment on site. Cable brake devices fitted to all doors to comply with CE markings. 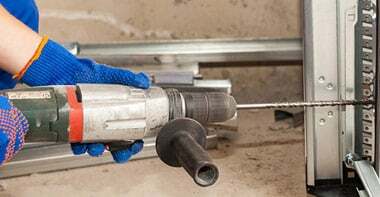 To ensure the perfect installation on site, all sectional door guide tracks are individually manufactured to suit site conditions as headroom and roof pitch will differ on each installation. 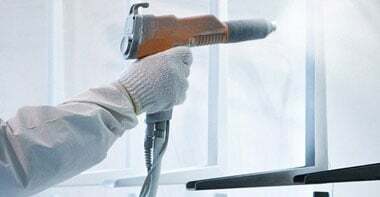 All HAG S Door sectional doors are sealed around all outer edges and intermediate panels to provide a superior and long-lasting weather seal when all fixing faces, floors & lintels are flush & square. 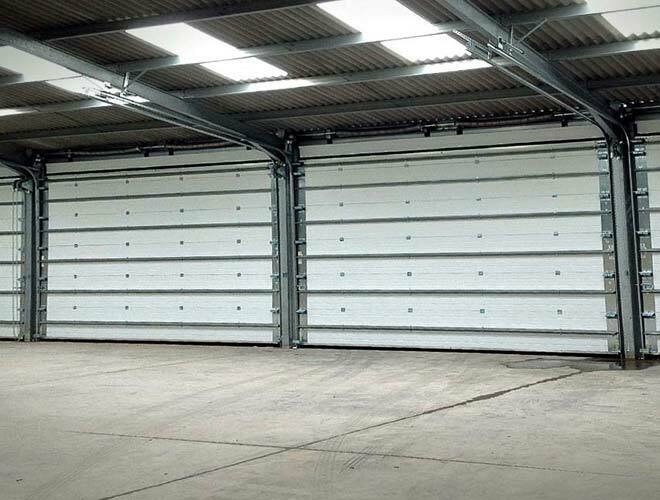 HAG offers a varied range of manual & electric operations for the sectional overhead door incorporating a number of safety equipment and features to protect personnel and vehicles against accidents and any needless damage to your door. 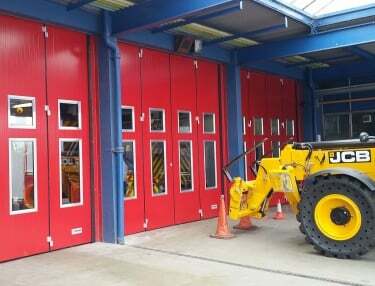 Double and triple glazed windows of various configurations and designs, trip free threshold wicket personnel doors, safety equipment, operator options, bespoke graphic advertising.